Tungsten and men's titanium rings are quickly taking hold of the jewelry industry. Known as "alternative metals," with their recent rise in popularity, it's a title that may be out of date. And while many consumers and soon-to-be-weds on Tungsten World might consider the two metals synonymous with each other, in actuality they are very different metals. 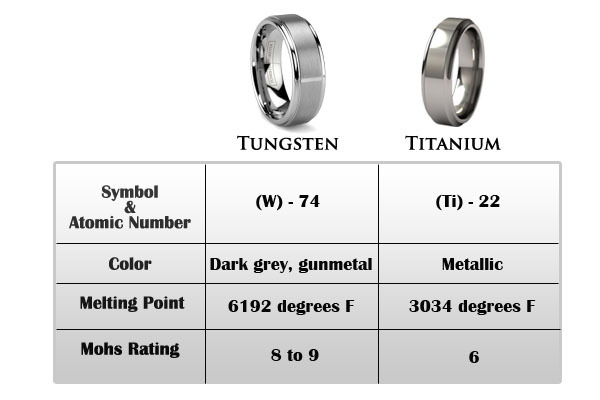 So, before you decide which side of the tungsten vs. titanium debate you're on, be sure to have a look at some of the key differences between tungsten rings and their titanium counterparts. In regards to jewelry and rings, weight is a good thing. For lack of better terms, lightweight jewelry is sometimes considered to be "cheap," or a "knock-off" of pricier metals. Heavier items are much more sought after by jewelers and consumers alike. When it comes to the weight of rings made in tungsten or titanium, the metals are at either extreme. Titanium is well known for its lightweight characteristics. 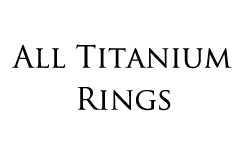 So much so, it is often referred to as "weightless" or "featherweight" and high quality titanium is called "aircraft" grade. For couples looking for a wedding band that is easy to wear and feels almost like having nothing on, titanium is perfect. 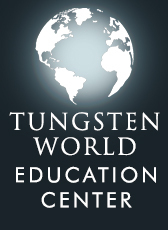 In contrast, tungsten is known for its weight. 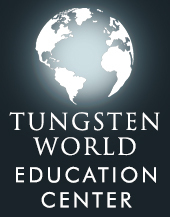 In many of its applications, the weight of tungsten is one of its more beneficial characteristics. 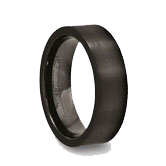 Tungsten rings for men and tungsten wedding bands are no different. The weight of your men's tungsten wedding band gives the band a real presence on your finger. As you wear it, you'll be much more aware of your ring, giving more "weight" to the meaning of your wedding ring. Your spouse is the love of your life, and the two of you have a relationship built for the long haul. With your wedding bands being a symbol of that love, you'd want them to last just as long, too. Right? A tarnished and scratched wedding band is unsightly, and even embarrassing. Silver, gold and even platinum wedding band owners face the challenge of constant upkeep in maintaining their bands scratch-free. The major problem these metals face is they are just too soft for everyday wear. Their owners constantly come in contact with hard materials prone to leaving the unsightly scratches on wedding bands couples look to avoid. Titanium is given a 6 on the Mohs Hardness Scale, a scale used to rank materials by their scratch resistance. 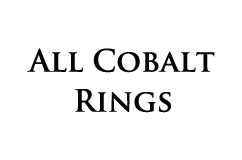 In comparison, gold is a 3 rating, and platinum is generally given a rating of 4 to 4.5. So, titanium rings are a few times harder than their precious metal counterparts. They hold up fairly well to everyday wearing and should not tarnish, and as a result are good at maintaining their original finish and shine. 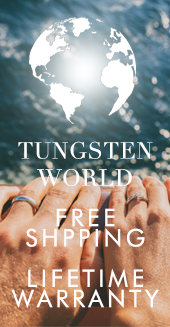 With a Mohs rating between 8 and 9, tungsten is the hardest metal available on the wedding band market, making it the most scratch-resistant product available. This also makes tungsten rings incredibly resistant to tarnishing as well. Harder than silver, gold and platinum, and even harder than titanium, tungsten rings are the perfect combination of form and functionality. Couples looking for a metal capable of keeping their rings looking as flawless in the future as on their wedding day should look no further than tungsten. Many couples enjoy further customizing their wedding bands by adding a personalized message to the interior of their rings. These messages range from wedding dates to couples' names, and sometimes even an inside joke shared by the couple. 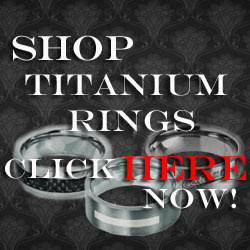 Titanium and tungsten rings can both be made into custom engraved rings. The method by which your ring will be engraved does depend on the choice of metal for your ring. Titanium is soft enough that it can be engraved by traditional methods. 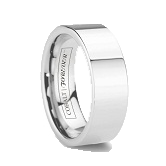 The message is carved directly into the ring, removing bits of the titanium to reveal your message. This is the same method also used for more traditional wedding bands. Tungsten, due to its hardness, requires a little something more to be engraved, and titanium bands engraved this same way are preferred. The myth is that because it can't be engraved traditionally, tungsten can't be engraved at all. Not true. 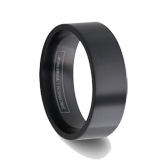 Using a laser, tungsten rings are able to be engraved similar to their alternative metal counterparts. In fact, many people prefer laser engraving, as it is smooth to the touch and is just as permanent. No more having to fish dirt and grime from the message engraved on the inside of your wedding ring. So, there it is. You've been filled in on all the differences between tungsten rings and titanium rings. Many people assume the two metals are the same thing, but you know the in's and out's of the tungsten vs. titanium debate.